Born in New York in 1975, Taryn Simon is at the forefront of contemporary photography practice. Her artistic medium is based around three equal elements, photography, text and graphic design, which combined investigate the limitations of absolute understanding, examining the gaps between each element and how this can lead to disorientation and ambiguity. In the last ten years she has created a suite of projects which deal with a number of theoretical and visual concerns. Her formal interest in arrangement and cataloguing has seen her experiment with different methods of presentation and display, particularly in A Living Man Declared Dead and Other Chapters (2008-11) in which she travelled around the world researching bloodlines: splitting up each work in the final piece into three segments, she presented large portrait sequences of related individuals on the left, a text panel containing details and narratives in the centre, and 'footnote images' on the right of fragmented pieces of established narratives and other photographic evidence. Simon has also skilfully and poetically tackled aspects of the underbelly of American life. Her 2009 project, Contraband, saw her systematically photograph thousands of items received through customs and the international postal service at JFK airport, categorising them into often grotesque and bizarre groupings. Published in close collaboration with the artist, this brand-new book will provide a complete overview of her practice to date. With new and re-published essays by amongst others Salman Rushdie, Homi Bhabha, Daniel Baumann, Tim Griffin, Tina Kuklieski, Hans Ulrich Obrist and Elisabeth Sussman. With an introduction by Simon Baker, Curator of Photography at Tate Modern. At her death in 1964, O'Connor left behind a body of unpublished essays and lectures as well as a number of critical articles that had appeared in scattered publications during her too-short lifetime. The keen writings comprising Mystery and Manners, selected and edited by O'Connor's lifelong friends Sally and Robert Fitzgerald, are characterized by the directness and simplicity of the author's style, a fine-tuned wit, understated perspicacity, and profound faith. The book opens with "The King of the Birds," her famous account of raising peacocks at her home in Milledgeville, Georgia. Also included are: three essays on regional writing, including "The Fiction Writer and His Country" and "Some Aspects of the Grotesque in Southern Fiction"; two pieces on teaching literature, including "Total Effect and the 8th Grade"; and four articles concerning the writer and religion, including "The Catholic Novel in the Protestant South." Essays such as "The Nature and Aim of Fiction" and "Writing Short Stories" are widely seen as gems. This bold and brilliant essay-collection is a must for all readers, writers, and students of modern American literature. The Garden in the Machine explores the evocations of place, and particularly American place, that have become so central to the representational and narrative strategies of alternative and mainstream film and video. Scott MacDonald contextualizes his discussion with a wide-ranging and deeply informed analysis of the depiction of place in nineteenth- and twentieth-century literature, painting, and photography. Accessible and engaging, this book examines the manner in which these films represent nature and landscape in particular, and location in general. It offers us both new readings of the films under consideration and an expanded sense of modern film history. Among the many antecedents to the films and videos discussed here are Thomas Cole's landscape painting, Thoreau's Walden, Olmsted and Vaux's Central Park, and Eadweard Muybridge's panoramic photographs of San Francisco. MacDonald analyzes the work of many accomplished avant-garde filmmakers: Kenneth Anger, Bruce Baillie, James Benning, Stan Brakhage, Nathaniel Dorsky, Hollis Frampton, Ernie Gehr, Larry Gottheim, Robert Huot, Peter Hutton, Marjorie Keller, Rose Lowder, Marie Menken, J.J. Murphy, Andrew Noren, Pat O'Neill, Leighton Pierce, Carolee Schneemann, and Chick Strand. He also examines a variety of recent commercial feature films, as well as independent experiments in documentary and such contributions to independent video history as George Kuchar's Weather Diaries and Ellen Spiro's Roam Sweet Home. MacDonald reveals the spiritual underpinnings of these works and shows how issues of race, ethnicity, gender, and class are conveyed as filmmakers attempt to discover forms of Edenic serenity within the Machine of modern society. Both personal and scholarly, The Garden in the Machine will be an invaluable resource for those interested in investigating and experiencing a broader spectrum of cinema in their teaching, in their research, and in their lives. Why do we have such extraordinarily powerful responses toward the images and pictures we see in everyday life? Why do we behave as if pictures were alive, possessing the power to influence us, to demand things from us, to persuade us, seduce us, or even lead us astray? 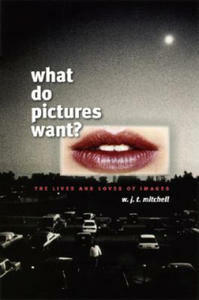 According to W. J. T. Mitchell, we need to reckon with images not just as inert objects that convey meaning but as animated beings with desires, needs, appetites, demands, and drives of their own. "What Do Pictures Want?" 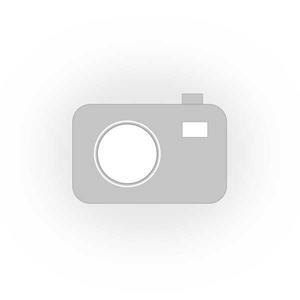 explores this idea and highlights Mitchell's innovative and profoundly influential thinking on picture theory and the lives and loves of images. Ranging across the visual arts, literature, and mass media, Mitchell applies characteristically brilliant and wry analyses to Byzantine icons and cyberpunk films, racial stereotypes and public monuments, ancient idols and modern clones, offensive images and found objects, American photography and aboriginal painting. Opening new vistas in iconology and the emergent field of visual culture, he also considers the importance of Dolly the Sheep--who, as a clone, fulfills the ancient dream of creating a living image--and the destruction of the World Trade Center on 9/11, which, among other things, signifies a new and virulent form of iconoclasm. "What Do Pictures Want?" 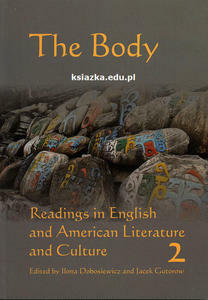 offers an immensely rich and suggestive account of the interplay between the visible and the readable. A work by one of our leading theorists of visual representation, it will be a touchstone for art historians, literary critics, anthropologists, and philosophers alike. "A treasury of episodes--generally overlooked by art history and visual studies--that turn on images that 'walk by themselves' and exert their own power over the living." --Norman Bryson, "Artforum "
Walter Kaufmann (1921-1980) was a charismatic philosopher, critic, translator, and poet who fled Nazi Germany at the age of eighteen, emigrating alone to the United States. He was astonishingly prolific until his untimely death at age fifty-nine, writing some dozen major books, all marked by breathtaking erudition and a provocative essayistic style. He single-handedly rehabilitated Nietzsche's reputation after World War II and was enormously influential in introducing postwar American readers to existentialism. Until now, no book has examined his intellectual legacy. Stanley Corngold provides the first in-depth study of Kaufmann's thought, covering all his major works. He shows how Kaufmann speaks to many issues that concern us today, such as the good of philosophy, the effects of religion, the persistence of tragedy, and the crisis of the humanities in an age of technology. 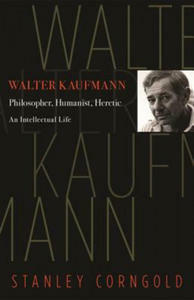 Few scholars in modern times can match Kaufmann's range of interests, from philosophy and literature to intellectual history and comparative religion, from psychology and photography to art and architecture. Corngold provides a heartfelt portrait of a man who, to an extraordinary extent, transfigured his personal experience in the pages of his books. This original study, both appreciative and critical, is the definitive intellectual life of one of the twentieth century's most engaging yet neglected thinkers. It will introduce Kaufmann to a new generation of readers and serves as a fitting tribute to a scholar's incomparable libido sciendi, or lust for knowledge.